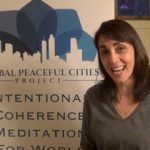 ★ Groups Requesting A Meditation Leader: apply to have a meditation leader from the Global Peaceful Cities Project come to your organization and lead a group meditation Sign up early to reserve your spot. Groups can use the form to the right to request to have a meditation leader come to your location. ★ Individuals & Groups can participate from home or work via the internet for 15 minutes a day for 8 days by following intentional coherence based meditations using evidence-based mind-body skills to enhance clarity, improve optimal functioning, enhance decision making and dramatically lift your mood while simultaneously working toward allowing the Global Peaceful Cities project to collect statistics and the meditation participation and the effect it has on a measurable benefit to Albany like Crime. Groups and individuals can signup for notifications of each day’s meditation to the right. ★Receive latest updates and video meditation support by email when you sign up. Please fill out the form to the right. Once you sign up you will receive emails when the event starts with mediations and interviews with thought leaders in intentional research and other exclusive intentional research content. Benefit the city of Albany while simultaneously benefiting yourself. This is a win-win. 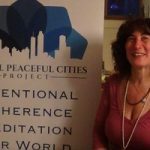 Sincere thanks for your participation by Bethany Gonyea, Global Peaceful Cities Project Founder, Dr. Karin Reinhold, PhD, Researcher and the Schenectady Peace Project team. The next meditation event is August 3-9 for Albany! Choose One...I want to signup only myself to meditateI want to signup myself and a possibly a group to meditate.I want to possibly signup just a group to meditate.For now I just want to signup for one or more of your mailing lists. No, I will give you another person to contact. What’s the Difference Between Meditation and Prayer? 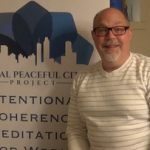 The Greater Albany Meditation Project is now Albany Peace Project! Get signed up to hear about the next meditation event and send peaceful intentions to Albany. We will measure the results. 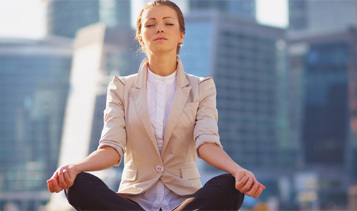 Learn how to facilitate mediations in your city by taking our meditation leader program. This course will teach you everything you need to know. We need help with tech, operations and much more and can offer volunteering with purpose! Bring your skills into an organization that is pushing the boundaries of intentional research and practice. I volunteer because we are constantly collaborating to create a culture of coherent change. 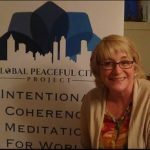 I volunteer for the Global Peaceful Cities Project because a passion of mine that I love to serve. 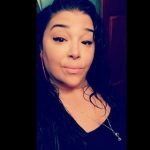 Are people meditating with you? If there are we would like to count them.